Our Cretan Adventure gives you the flexibility of seeing and doing what is important to you. A car rental will be waiting for you in Heraklion upon arrival. Make a point of visiting the palace of Knossos, the center of the Minoan civilization that flourished 4500 years ago and is one of the earliest recorded civilizations in Europe. Leave Heraklion behind, and venture to Rethymnon for the night to explore the old town that was completely built by the Venetians. You will have three days of leisure to enjoy the western city of Chania. This Venetian town and its beautiful old harbour will stay forever in your memory. From Chania, you should take the opportunity to trek the Samaria Gorge (the longest in Europe at 18 km). The beaches to the west of Chania are remarkable and should be at the top of your list of locations to visit while exploring this magnificent region of Crete. A short flight will have you flying into Athens for 2 nights. You will have a chance to explore the city and take in the sights with an Athens City Tour which will take you right to the top of the Acropolis. This Cretan Adventure is a mini vacation with huge opportunities to take in Greece’s beautiful culture and nature. Welcome to Heraklion. You will make your way from the arrival hall to the car rental area. Following the completion of your documents, you will drive to your hotel and spend the rest of the day at your leisure. If you have arrived in the morning, consider a trip to the palace of Knossos. 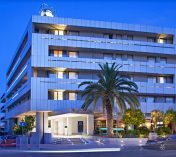 Overnight Heraklion select hotel. After breakfast at your hotel, you will drive to the city of Rethymnon. It is an 80 km drive. Check into your hotel and enjoy a day of leisure in this historic city. The area has beaches to explore. 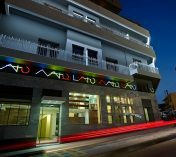 Overnight Rethymnon select hotel. 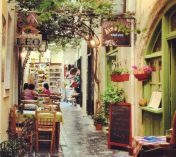 After breakfast at your hotel, you will take a short drive to the Venetian town of Chania, which you will call home for 3 nights. Overnight Chania select hotel. After breakfast, if you feel like enjoying a trek in nature, visit the Samaria Gorge, one of the largest gorges in Europe at 18 km. Or visit the vast and gorgeous sandy beaches to the west of Chania. Overnight Chania select hotel. Breakfast at your hotel followed by another full day of leisure. As it will be your final full day on Crete, enjoy a romantic dinner in the old harbour. Overnight Chania select hotel. After breakfast at your hotel, make your way to the Airport in Chania and leave your vehicle at the rental agency. Make your way to the departure terminal for a short flight to Athens. 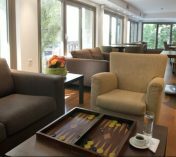 Upon arrival at Athens Spata International Airport, a driver will greet you in the arrival hall and transport you to your Athens hotel. 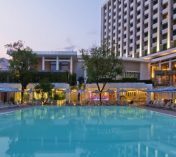 Overnight Athens select hotel. Enjoy breakfast at your hotel, then make your way to the meeting point for your guided tour. Following the tour you have an afternoon and evening of leisure. This is your last night Greece, enjoy the sights. Overnight Athens select hotel. 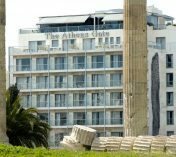 Activity:	Acropolis, City & Acropolis Museum Walking Tour This sightseeing tour will afford you the luxury of experiencing the two most important attractions of Athens. The Acropolis of Athens is one of the most famous archaeological sites in all of Greece. The new Acropolis Museum is the home to the masterpieces of the Acropolis, where they are displayed in stunning surroundings bathed in natural light. The tour begins inside the Syntagma metro station where you will visit the metro Museum with very interesting archaeological artifacts from the daily life of Ancient Athens that came to light during the construction of the metro. You will then continue on to the House of the Greek Parliament, the Monument to the Unknown Soldier and watch the changing of the guard. Your tour continues towards the National Gardens and on to the beautiful neoclassical Zappeion Hall, in front of which tower the surviving columns of the Temple of Zeus and Hadrian’s Arch, both of which you will have the opportunity to visit. From there you enter the famous Plaka district where you see the statue of Melina Merkouri. You will enter the Acropolis from the south slope so as to avoid the crowds and also to visit the Dionysus sanctuary and Dionysus Theatre built in the 5th century BC. Your guide will take care of the tickets so you can skip the line. As you begin to ascend the sacred hill a breathtaking view of the city below will unfold. Your guide will give you a detailed explanation of the glorious monuments of the Acropolis such as the Parthenon, the Erectheion, the Propylaia, the Nike Temple and the surrounding monuments such as the Odeon of Herodes Atticus, the Ancient Agora, the Observatory as well as the Philopappos, Mars, and Pnyx Hills. After your tour of the Acropolis site, you will have approximately 45-minutes to descend towards the New Acropolis Museum. 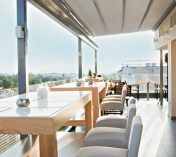 You will have ample time to take personal photographs from many vantage points on and around the Acropolis prior to reaching the Acropolis Museum. Its unique design has incorporated the excavations which are visible under stunning glass floors. The Acropolis masterpieces are marked out and given the prominence they deserve through ideal interior atmospheric conditions, natural lighting. Additionally, there is easy visitor access, panoramic views and excellent layout of the exhibition areas. The museum exhibits about 4,000 artifacts. The tour ends at the Acropolis Museum. Enjoy breakfast at your hotel. A driver will meet you in the hotel lobby to take you to the airport for your flight out of Greece. Casa Leone Boutique Hotel is a 15th century Venetian villa located at the Venetian port of Chania on the island of Crete. 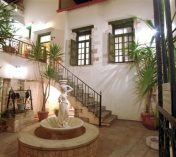 In a narrow alley in the heart of the Old Harbour of Chania, you will find the Fatma Hanoum Hotel, an old mansion that harmoniously combines the Venetian and Ottoman architecture. 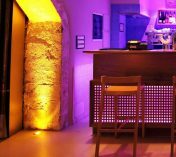 The mix of wood and stone of the old building, the twinkling lights, the warm colors and the modern furnishings create an effect of romantic elegance, warmth and an intimate atmosphere that both relaxes and refreshes. 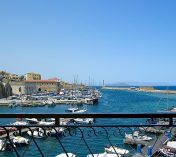 Located in the heart of Chania's old Venetian town, the boutique Casa Delfino Hotel is housed in a 17th century Venetian palazzo. This luxury retreat is the perfect getaway for travelers wanting a unique and pampered stay on the island of Crete. 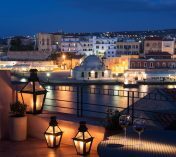 Located on the island of Crete, the Porto Veneziano Hotel is perfectly situated on the waterfront of the Venetian Harbour in the Old Town of Chania. This environmentally friendly hotel provides modern accommodation with beautiful views of the harbour, sea, and town, and a delicious buffet breakfast.